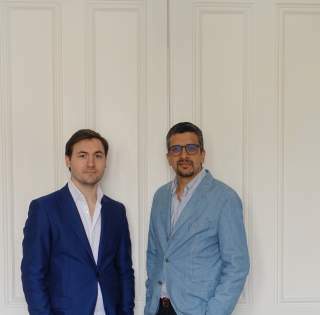 RIVES GAUCHE at MRA is a new collaboration between Nicolas Roux and Anshu Srivastava, building upon the strengths of their respective companies. The principals of the company, Nicolas and Anshu will work directly on your project. We understand your need for quick and clear communication at all times… not voicemail! Built upon 35 years of experience problem solving with luxury interior projects, we know how to anticipate and avoid risks, to save you time and money. We pride ourselves on the detail and quality of our drawings and documents… we’d love to show you what we can do. We can tailor our expert service to match your exact requirements and we can do this in English or French, whichever you prefer. As our executive architects they work closely with our concept architect RDAI. Their management of the construction contract is effective and they supervise the onsite works very closely to ensure our time and quality expectations are met. I would especially mention their management of the budget which is always meticulous and their excellent communication, as we are kept informed of coordination matters and progress at all times. We are pleased to confirm that MRA has given us an excellent service throughout as our executive architects. The level of commitment we receive means that most problems are pre-empted and so the projects run pretty smoothly for us. When difficulties do arise, MRA respond quickly and we are confident that they will remain focused until the issue is resolved.